Through its history of 25 years, HETS has been privileged to gather an outstanding number of renowned educational leaders. Many of these leaders have guided the organization’s steps since its inception, as founding parents, while others have joined along the way, leaving significant contributions. Unfortunately, along the years, some of these leaders have made the decision to retire, not without first leaving a great legacy. We would like to take this space to recognize several of the leaders who are not part of the Consortium any longer, but who helped build what the HETS Consortium is today. WE THANK THEM FOR THEIR LEADERSHIP AND LEGACY! Former President of the University of Puerto Rico. Dr. Maldonado was one of HETS founding fathers. He served as member of the HETS Board of Directors until he stepped down in 2001. The University of Puerto Rico affiliated to HETS during Dr. Maldonado’s presidency, in 1998, and continues to be part of the Consortium. Dr. Maldonado was a highly supportive and active during his time in HETS, hosting many Board meetings and events at his institution. Former President of California State University at Dominguez Hills. CSUDH affiliated to HETS under Dr. Lyons’s leadership back in 2000. He contributed greatly to the progress of the organization during this Board service. Dr. Lyons served as Board Regional Representative and was highly supportive of the organization. He also served as a designated member of the Board Nominations Committee. He was very active at Board meetings and hosted HETS campus visits at CSUDH. Former President of the Bronx Community College. The Bronx Community College became a HETS member under Dr. William’s presidency in 2004. She contributed vastly as member of the Board, Secretary of the Board, and host to several HETS events, including Board meetings and campus visits. She will always be remembered for her active participation and her multiple contributions. Dr. Carolyn Williams retired in 2011. Former President of Hostos Community College. Dr. Dolores Fernández was one of the pioneering “founding fathers” of the HETS Consortium. Hostos Community College has been a member since 1998, thanks to the active involvement of Dr. Fernández, who encouraged the participation of institutional constituencies consistently throughout her years as part of the Board. She served as HETS Board Secretary and was one of HETS most active Board members. During its 10th Anniversary in 2003, HETS recognized her role as founding member and the support of Hostos as host institution for Board meetings. She also hosted several campus visits and the HETS 10th Anniversary celebration. Dr. Fernández stepped down as President of Hostos in 2008, after 10 years. Former President of the Pontifical Catholic University of Puerto Rico. Dr. Marcelina Vélez de Santiago was instrumental to the PCUPR’s affiliation to HETS in 2005 and the institution’s active participation during her leadership term. She also served as Secretary of the HETS Board of Directors and was recognized as a highly active member. In addition, she supported efforts to strengthen relations with the institution’s instructional and administrative staff by hosting several campus visits. Dr. Vélez concluded her term as President of the PCUPR in 2009. Former President of Universidad Central de Bayamón. Universidad Central de Bayamón became a member of the HETS Consortium under Professor Nadal’s presidency in 2006. Prof. Nadal was a very supportive and dynamic member. In addition to her many other contributions, she served as Secretary of the HETS Board. She was also very supportive of HETS relations with the institutions, hosting several campus visits at UCB. Former Vice Provost of Extended Education, University of New Mexico. Dr. Dominguez was one of HETS most active and engaging members throughout his affiliation to the Consortium. UNM was another of HETS founding institutions and affiliated as member in 1998, under Dr. Dominguez’s leadership. He served as Board Regional Representative and proposed and led many initiatives during his time in HETS. Under his leadership, UNM was a headquarter member institution and a host institution to HETS Board meetings. Dr. Dominguez retired in 2014. Former President of Carlos Albizu University. Carlos Albizu University affiliated to HETS under the leadership of Dr. Ileana Rodríguez García in 2006. Throughout her term as member of the HETS Board of Directors, Dr. Rodríguez García provided her ongoing support to HETS initiatives and participated actively in Board meetings. She was also highly supportive of HETS work and collaboration with institutional constituencies, opening her institution’s doors as host of HETS campus visits. Dr. Ileana Rodríguez García’s term as President of the CAU concluded in 2014. Former President of Burlington County College. Dr. Messina led Burlington County College for 25 years. Under his leadership, he encouraged and supported the institution’s affiliation to the HETS Consortium in 2003. He served as Board Regional Representative and participated actively in HETS Board meetings. Dr. Messina also opened the doors to the HETS staff several times, motivating the participation of his institutional constituencies as part of the HETS Campus Visits. Dr. Robert Messina retired in 2012. Former Vice Provost for Research and Sponsored Projects, University of Texas Pan American. 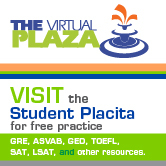 The University of Texas-Pan American (UTPA) is one of the founding member institutions of the Consortium. It affiliated to HETS in 1998, under the leadership of Dr. Wendy Lawrence, who served as Vice Provost for Research and Sponsored Projects for 10 years, until 2012. Her encouragement of the institution’s active participation in the Consortium was such that this institution continues its involvement and contribution to HETS, even after Dr. Lawrence’s retirement. Dr. Lawrence served as Board Regional Representative and was recognized for her dynamic contributions during Board meetings and as committee member. She also hosted HETS Board meetings at UTPA. Former Vice President of Student and Multicultural Affairs, Springfield Technical Community College. Springfield Technical Community College’s affiliated to HETS under Dr. Smith’s leadership. She showed great support to the Consortium and contributed actively during her participation in Board meetings. Dr. Smith also hosed several HETS Campus Visits at STCC. Dr. Smith served as Board representative, attending all meetings until her retirement in 2015. Former President of Bronx Community Colleg. Bronx Community College has been a member of HETS since 2004. Its affiliation with the Consortium started under the leadership of Dr. Carolyn Williams and the support continued under the presidency of Dr. Berotte- Joseph. Since her appointment in 2011, Dr. Berotte-Joseph contributed greatly to the Consortium, participating actively in the organization’s meetings. She also opened BCC’s doors as host of HETS Board meetings. Dr. Carole M. Berotte Joseph left the presidency of BCC in 2014. Former Associate Vice Chancellor, City Colleges of Chicago. Dr. Lizzette Richardson had a key role in HETS relationship with City Colleges of Chicago. The institution affiliated to HETS under her leadership and continued its participation in the Consortium until 2013. Dr. Richardson served as the main liaison between HETS and CCC. She was a very active member, serving dynamically in HETS Task Forces and Committees. She also hosted Board campus visits and meetings at CCC. Former President of Queensborough Community College, Former Vice Chancellor for Community Colleges of City University of New York. QCC joined HETS in 2002, under the leadership of Dr. Eduardo Martí. Dr. Martí served as Chairman of the Board and participated in several Board committees. He was also instrumental to some of the most important initiatives of the Consortium, including the HETS Online Journal, being one of its major proponents. He was actively involved in the Board meetings and guided important decisions. In 2014, HETS recognized Dr. Marti’s contributions and invaluable roles. USC affiliated to HETS under the leadership of Dr. Rivera, who was one of the greatest supporters of the Consortium throughout his 15 years serving the HETS Board. He served as Board Treasurer, host to Board meetings and HETS events. On January 15, 2014, HETS recognized his role as Founding Member, Treasurer, and many contributions in other valuable roles, which fueled the organization towards the accomplishment of its goals and objectives. Dr. Rivera retired on 2014. HETS, and all its members, would like to recognize and highlight the legacy of Dr. José Jaime Rivera and its outstanding path as President of one of the HETS founding member institutions: Universidad del Sagrado Corazón. As part of the HETS family recognition to this extraordinary leader and person, we tried to summarize his achievements and active participation in the Higher Education field, including our Consortium on the following video. “Every ending is a new beginning. As we look forward to another commencement, I am preparing to end my tenure as the President of Lehman College. This was not an easy decision; nor was it one that I made lightly. But after twenty-six years at the helm of Lehman College I can look back at my first day here—September 1, 1990—and the two-and-a-half decades that followed with immense pride at the things we have accomplished.” To visit Lehman’s College page honoring Dr. Ricardo R. Fernández leadership go to: Dr. Ricardo R. Fernández Looks Back at His 26-Year Presidency. Dr. Michael Kress represented the College of Staten Island in the HETS Board of Directors many occasions. He was also part of the HETS Technology Task Force and served as members of the HETS Best Practices Showcase Evaluation Committee. He was actively promoted HETS services among CSI’s students through different strategies, including inviting HETS to participate in CSI’s Annual Technology Fair. The Ana G. Mendez University System is one of the HETS Consortium’s founding members, led by Dr. Jose F. Méndez, the institution’s president for 40 years. AGMUS was HETS Host Institution for eight years (2006-2014), with full support from President Méndez. 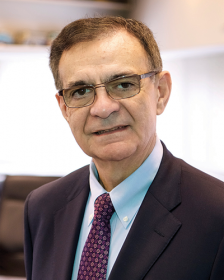 Dr. Méndez served the HETS Board of Director’s Executive Committee as Chairman (2007-2010), Vice-Chairman (2010-2014), Treasurer (2005-2006 and 2015-2016), and Secretary (1998-1999). HETS has recognized him as Member Contributor of the Year in 2003, as part of its 10th Anniversary celebration, and honored him with the HETS Visionary Leadership Award in 2009, during the celebration of the Consortium’s 15th Anniversary. Dr. José F. Méndez was a consistent believer in the work of the HETS Consortium as a means to create a brighter future for Hispanic students. His commitment to education and innovation significantly contributed to the evolution of the organization and its road toward the Higher Education of the 21st Century. Alberto Maldonado represented AGMUS in the HETS Board in several occasions. He hosted HETS Board Meetings in 2008, 2013, and 2015, as well as the HETS Best practices Showcase in January 2016. He was very active in promoting HETS services among faculty and students through different strategies, including inviting HETS to participate in their faculty assembly, and coordinating trainings for faculty and students, among other activities. 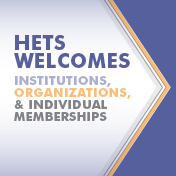 In 2015, Maldonado offered the support of his institution’s external resources staff to help HETS identify grant opportunities to continue developing the HETS Commons initiative. John Jay College of Criminal Justice of the City University of New York is one of the HETS Consortium’s founding members. Esq. Jeremy Travis served as President of the Institution for more than 13 years and was recently recognized as President Emeritus. As the leader of John Jay College, President Travis was a member of the HETS Board of Directors for 13 years. Under his leadership, JJC hosted HETS Board Meetings (2007), and one Student Leadership Showcase (2016). Dr. Lawrence Kobilinsky, as Provost at John Jay College, was the designated representative to the HETS Board in many occasions during these past 20 years. He was member of HETS since 1995. Dr. Kobilinsky made extraordinary contributions to the HETS Consortium. He was also a very active Board representative, always showing genuine interest in the progress of the organization. Among other contributions, Dr. Kobilinsky participated in the HETS Collaborative Distance Learning Initiatives under the HETS Learning Anywhere Anytime Partnerships (LAAP) Project. Also, given his legal expertise, he also supported the revision of the HETS Bylaws and advised the Board’s Executive Committee on related matters. He is currently Professor Emeritus at JJC. He was appointed President of Borough of Manhattan Community College (BMCC/CUNY) in 1995. The college served 16,300 students at that time, and has grown to have CUNY’s largest enrollment, serving more than 27,000 students. A visionary, high-energy leader, President Pérez has not only led the college’s expansion but guided the BMCC community through the aftermath of September 11, 2001. BMCC is the only college in United States history to have lost a campus building to a terrorist attack. BMCC’s Fiterman Hall was destroyed when World Trade 7, across the street, collapsed and fell against it. He stepped down as BMCC President on August 31, 2018. During Dr. Pérez 25th Anniversary celebration he expressed the following about his experience at HETS: “So, for me investment in this organization has been very important, because I left with a lot of good ideas. And I met a lot of friends and great colleagues. But most importantly, I was able to have an impact on our students, and the relationships that have been built in here multiplies itself. So we are talking about signing Articulation Agreements, we talk about sharing faculty, we talk about how we might engage our students on our different campuses, and interchange those experiences its key.” Watch the quoted video here.